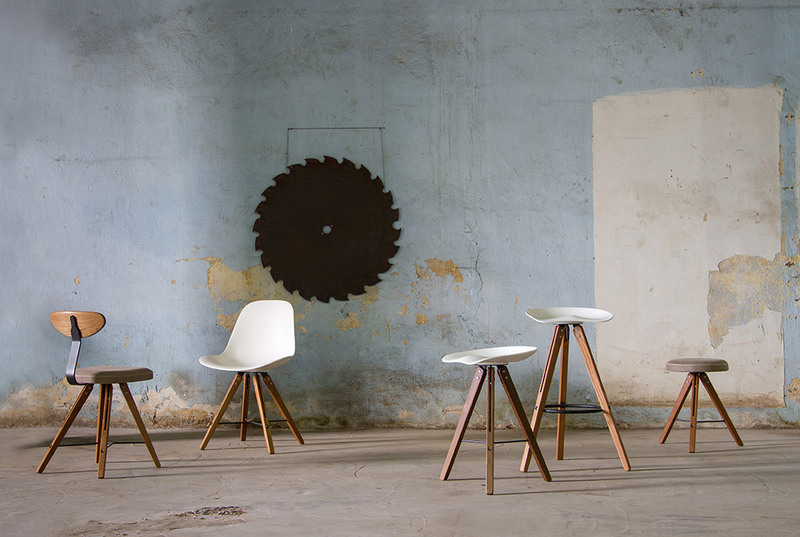 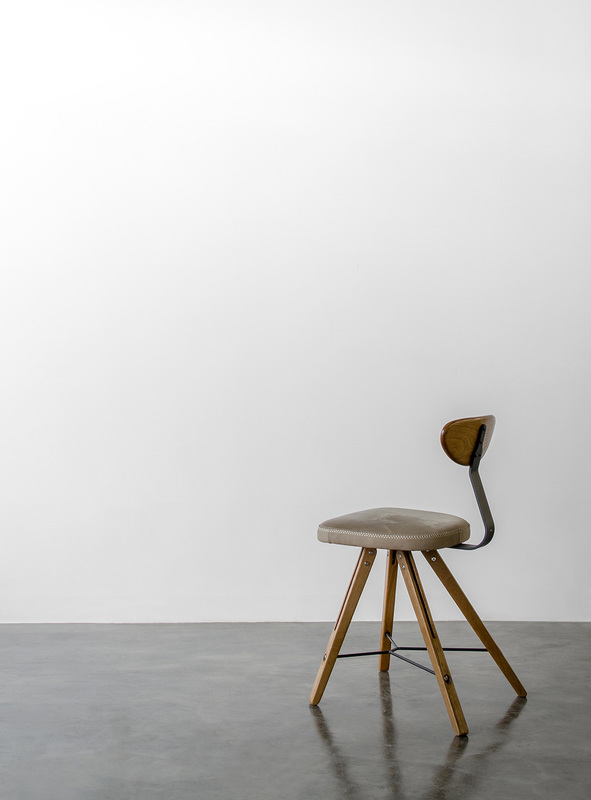 Theo is a seating collection with a dining chair, low, counter and bar stools. 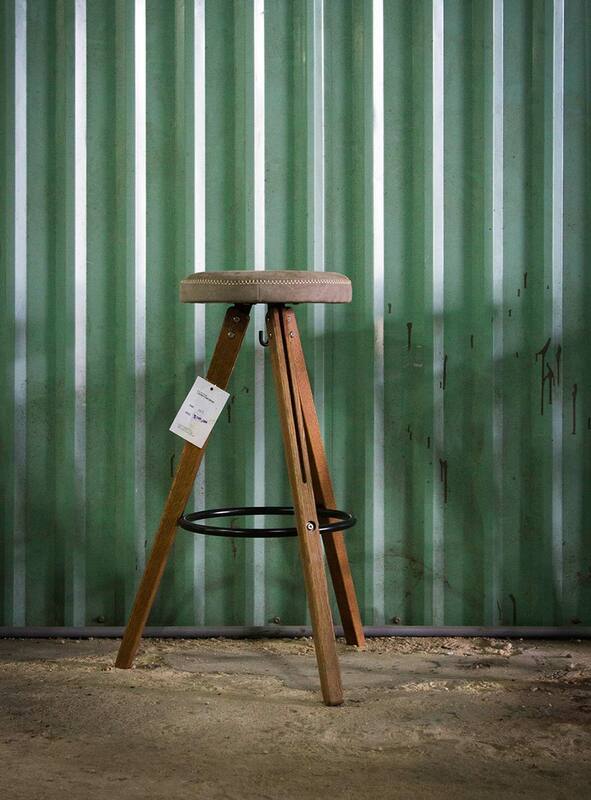 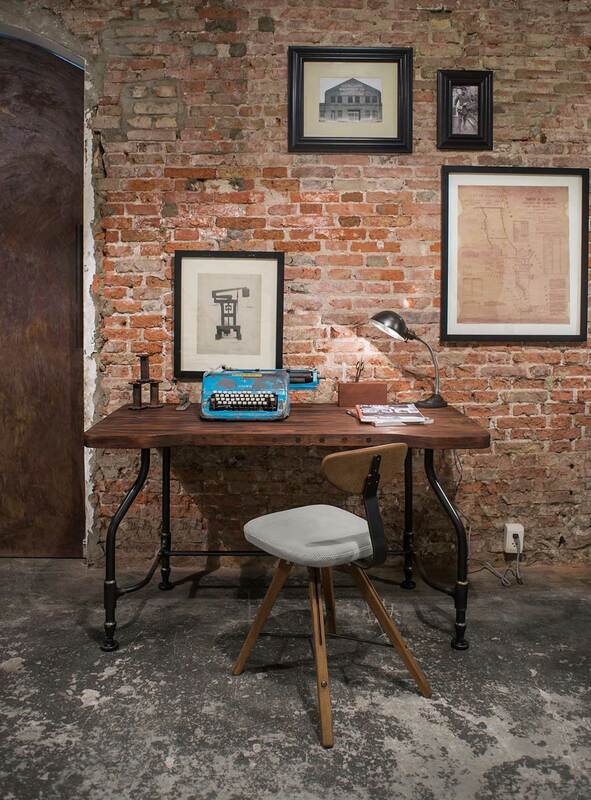 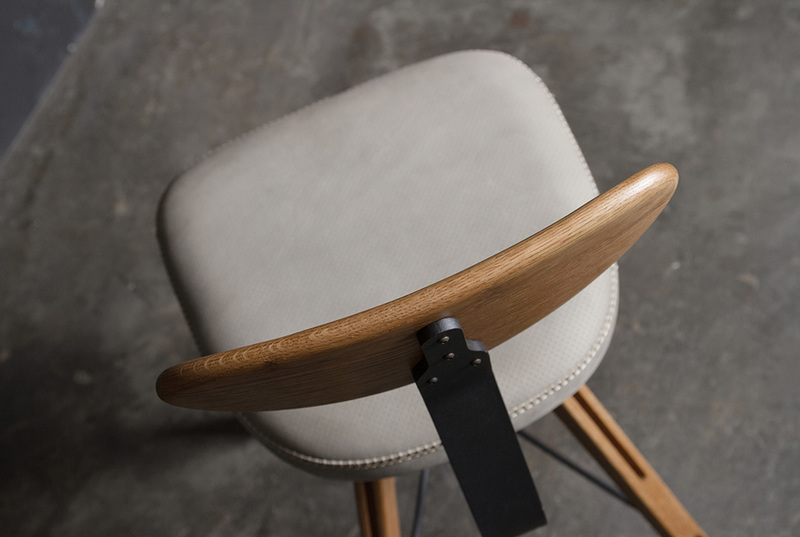 A version of bar stool with backrest is introduced later for comfortable seating at bar counter height. 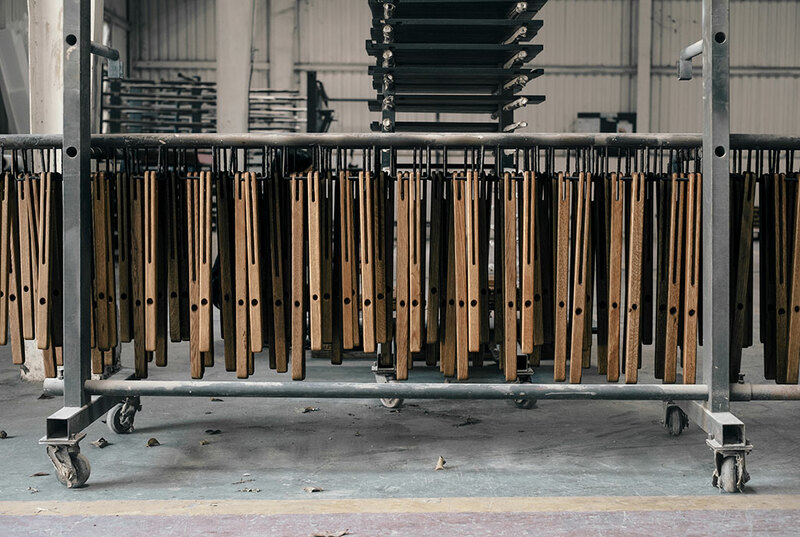 The collection was designed with a though of using up small pieces of timber from in-house manufacturing process thus resulting in steam-bent solid oak backrest and small component based legs. 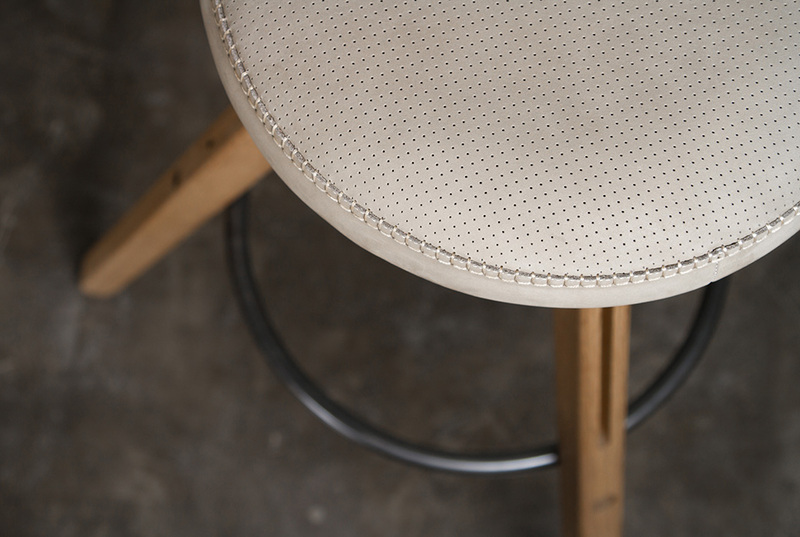 All seat cushions are made using local nubuck leather and trimmed with hand stitches and perforated top.